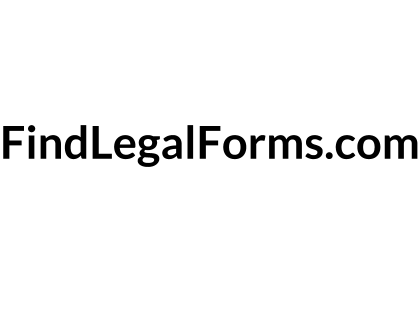 FindLegalForms.com offers online legal forms. This company was founded by two attorneys after running a law practice and launching a legal information website, which made them realize the need for low-cost access to frequently used legal forms. FindLegalForms.com's pricing starts at $4.99 according to their website. FindLegalForms does not provide any other pricing information on their website. Their subscriptions start at $2.49 per month, and each document costs around $20.00 according to SMBGuide research. Pros: FindLegalForms.com offers plenty of resources that save your business time and money. Cons: There will be instances where a lawyer's services will be a better option for your business. Bottomline: Consider carefully in each instance whether to use FindLegalForms.com or a lawyer. At this time there is no news or activity for FindLegalForms.com to report. Is there a FindLegalForms.com free trial? FindLegalForms.com makes no mention of a free trial on their website, but they offer a 60-day money-back guarantee on their forms. FindLegalForms.com also provide free services on their website, which you can use to form an impression of their standards before you go on to order their forms. Where can I find the FindLegalForms.com login? FindLegalForms.com does not provide login information on their website. What are some FindLegalForms.com alternatives? Lots of good, basic legal forms which you will obviously have to tweak. But they provide a great place to start from. They also provide a crude checklist of elements that you might want to consider, including in various documents you might have to draft.